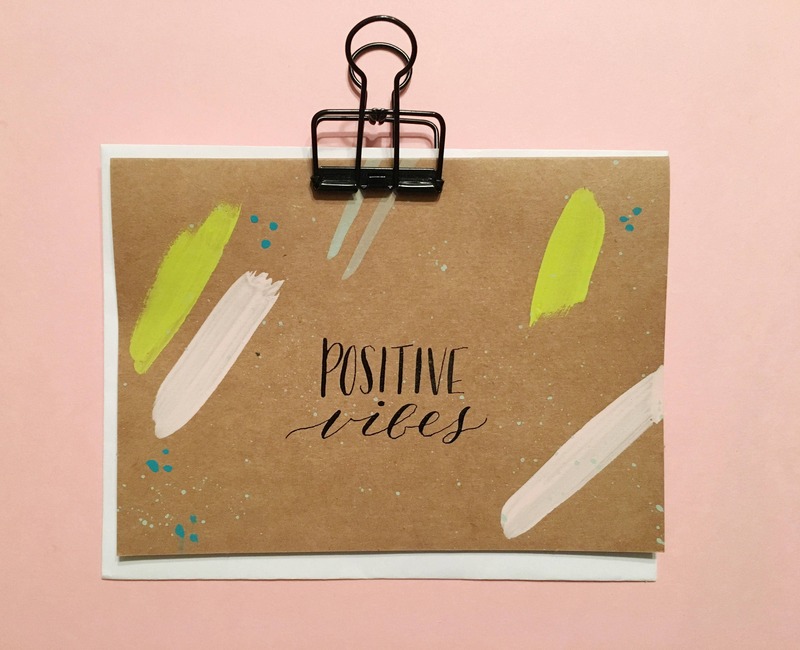 Send a card, not a text. 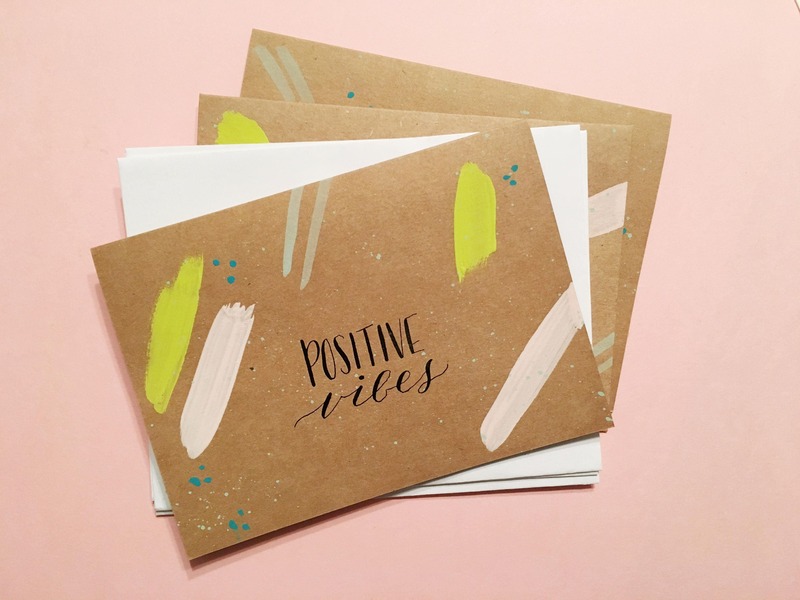 This order is for a set of 4 Positive Vibes notecards with white envelopes. I use black calligraphy ink, traditional pointed pen and acrylic paints. This is NOT a print. 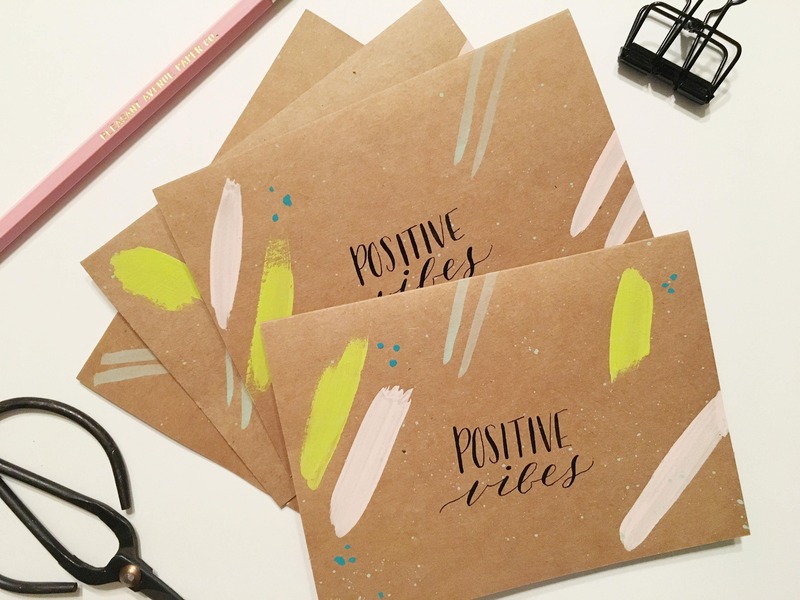 All my cards are handmade upon ordering. Cards are blank inside. Like this style but have a different color in mind? Ask me about a custom order!